NBC’s obvious but rather boringly named “Today Third Hour” is airing a promo that match ones created for the first two hours of the franchise. Letterboxed promos, which feature a lighthearted feel with boxed typography began airing early this week promoting weeklong coverage. Notably, NBC special correspondent and frequent guest host, Jenna Bush Hager was featured in the spots, which were presumably taped last week. Hager’s grandfather, George H.W. Bush died Saturday, Dec. 1, 2018, presumably after the promos were taped, so she did not appear on “Today Third Hour” Monday or Tuesday and is unlikely to appear the rest of the week. 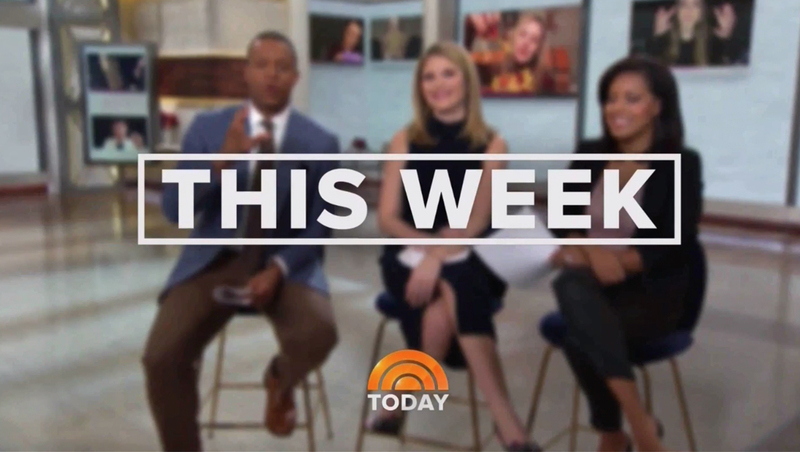 That said, Craig Melvin appeared in the spot and was not part of the host Monday, which opened with Al Roker and Shenelle Jones, along with Stephanie Gosk paying tribute to Bush — including with a photo collage on the video walls of the former “Megyn Kelly Today” studio, which the third hour has commandeered. The roundtable has been a literal merry-go-round of faces since “Megyn Kelly” was canceled, so it’s also not shocking that the hosts who participated in taping a previous promo would not appear in all episodes in the coming week — or at all. Interestingly, sources at 30 Rock told NewscastStudio that “Today Third Hour” will stop using Studio 6A, Kelly’s old home, after the new year.